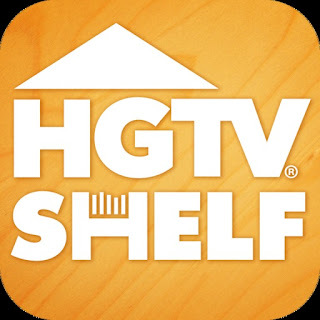 I just adore the HGTV iPad applications and have fallen in love with the HGTV SHELF magazine. To my greatest surprise a little birdie told me that my HGTV video would be fetaured in the newest issue. So.... check it out!!! I am asking all of my blog followers to download the app ($.99 for the new issue) but I promise you won't regret it. It's full of DIY ideas, modern trends, and projects galore. Satisfaction guaranteed, by me!